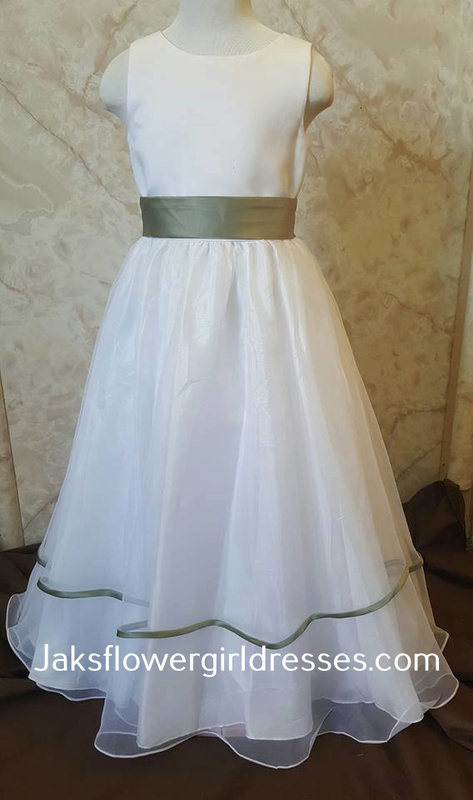 Clearance Flower Girl Dresses Now $40. 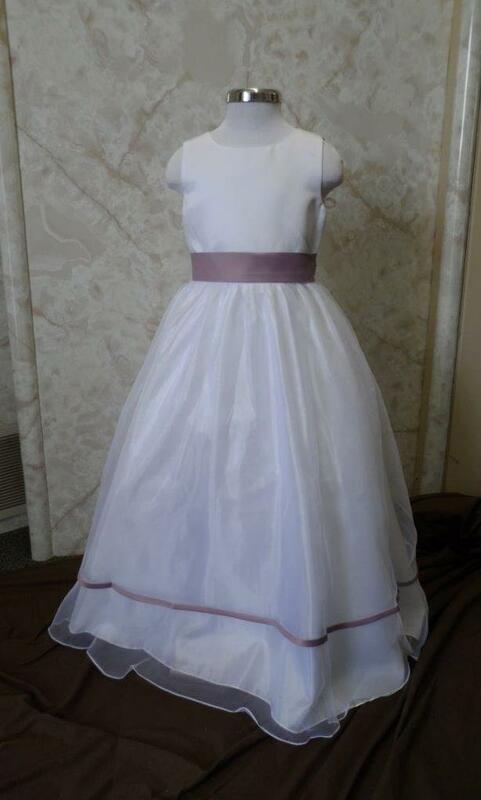 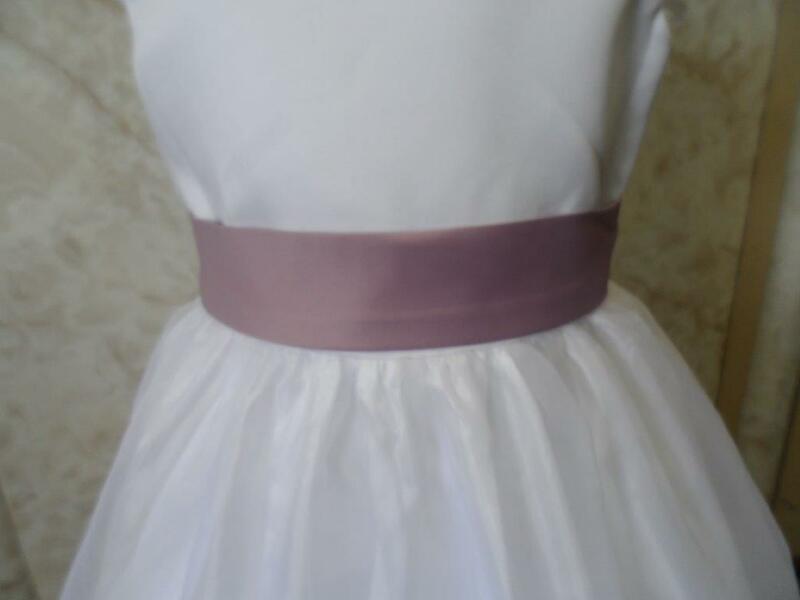 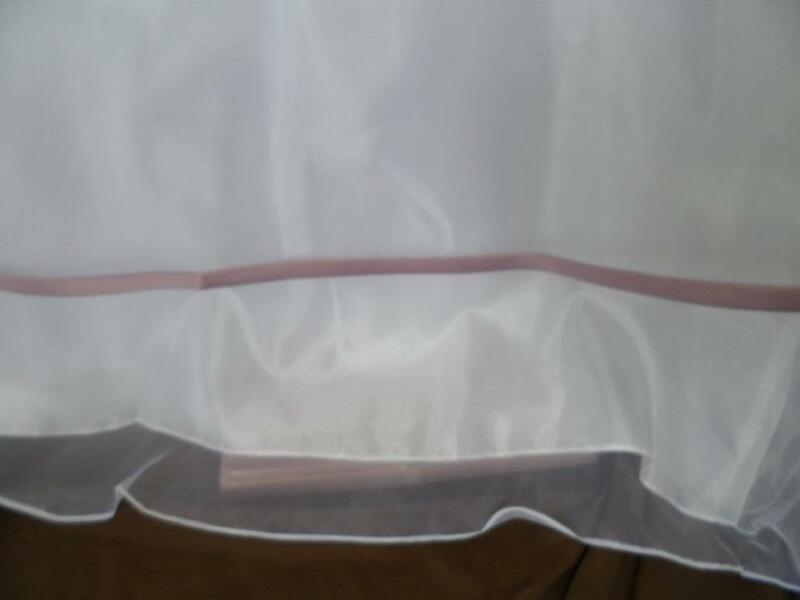 Long White organza flower girl dress with Victorian lilac trim. 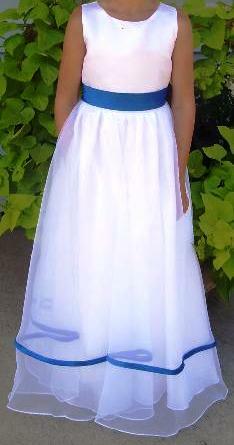 Girls dresses on sale for $40.00.